Home values are on the rise across the U.S., while homeowners continue to value their property higher than appraisers do, according to two indices released by Quicken Loans. The company’s National Home Value Index (HVI) showed a clear trend of rising home values, with a 0.33% average increase in appraised values in July from June. The increase was 4.21% on a year-over-year basis. Meanwhile, Quicken Loans’ National Home Price Perception Index (HPPI) revealed a 1.55% average spread between owners’ estimates and appraised values, with certain metro areas posting higher-than-expected perceived valuations. "The regional differences in home value growth mirror the perception difference across the country. Areas with slower growth were more likely to have owners overestimating their home value, and areas with much stronger growth had higher appraisals than owners realized they would be," said Bill Banfield, Quicken Loans executive vice president of capital markets. "With home values constantly changing, and the rates of change varying across the country, this is one more way to show how important it is for homeowners to stay aware of their local housing market." While homeowners are still estimating home values higher than appraisers are, the HPPI showed a narrowing gap between appraisers’ opinions and homeowners’ expectations; the July figure is down from a 1.70% spread in June. Some of the fastest-growing housing markets, such as Dallas and Denver, bucked the national trend with appraisals higher on average than owner expectations. Meanwhile, some Northeastern and Midwestern metro areas posted a higher spread between appraised values and owner estimates. 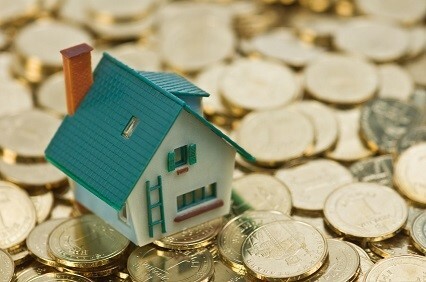 "The home appraisal is one of the most important data points in the mortgage process. It determines the level of equity the homeowner has and, if the owner's estimate is too far from how the appraiser views the property, it can cause the mortgage to be restructured," Banfield said. "Our hope is that this index is eye-opening for homeowners. Their home equity could be thousands of dollars higher, or lower, than they realize. If they are aware of the perceived trends in their area it could help them better prepare for their home purchase or refinance."